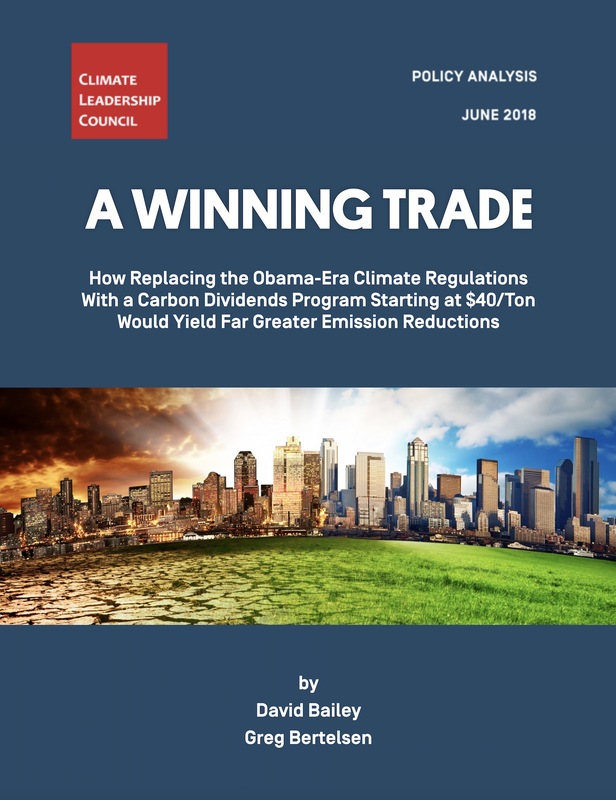 3500+ economists, 27 Nobel laureates, all 4 former Fed Chairs, and 15 former Chairs of the Council of Economic Advisers unite behind carbon dividends as the bipartisan climate solution. 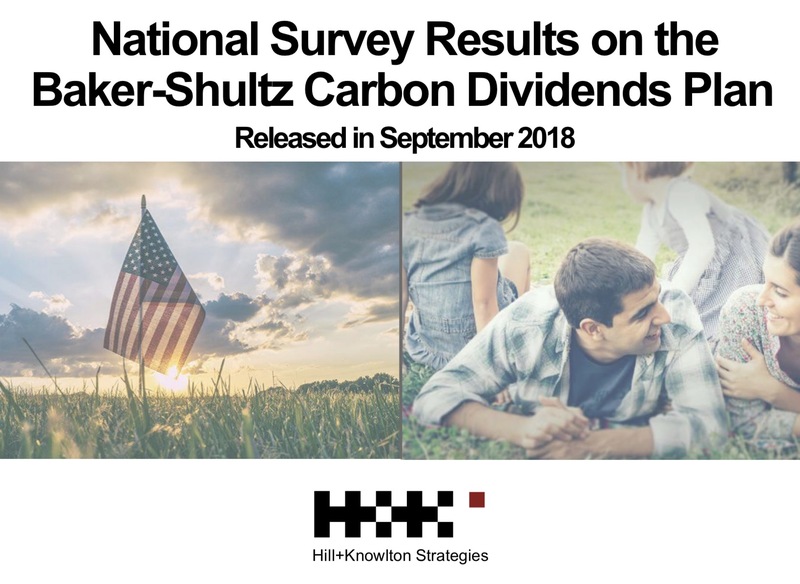 Co-authored by George Shultz and Ted Halstead, this report outlines the top 10 reasons why rebating all carbon fee revenues directly to the American people is the most popular, equitable and politically-viable climate solution. 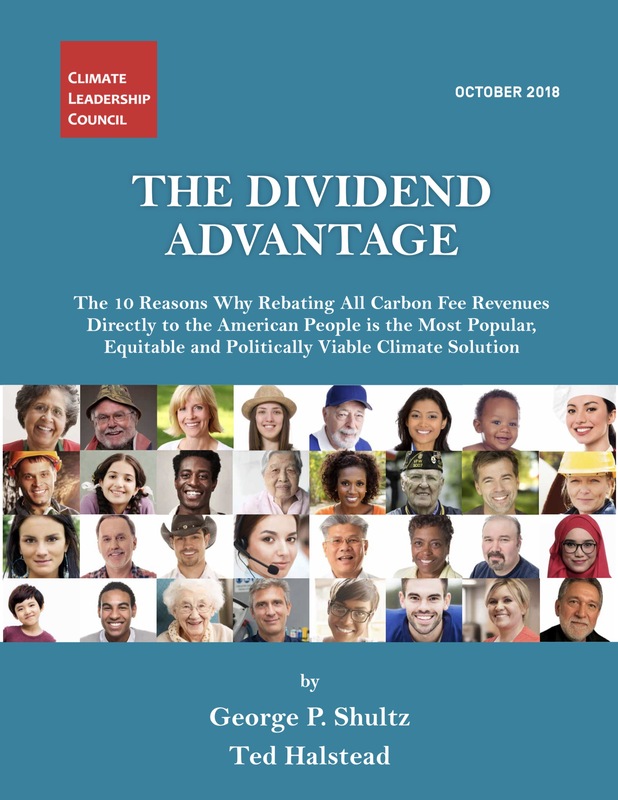 Why the Council’s carbon dividends plan is the most environmentally-ambitious and politically-viable climate solution. 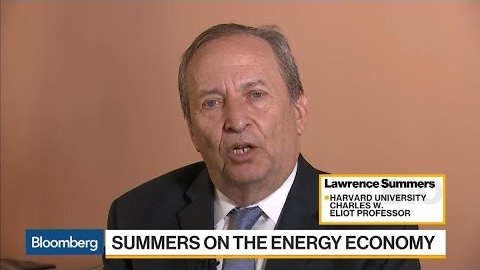 With Foreword by Shultz, Summers, Walton, Whitman, Yellen and Halstead. New national polls show greater than 2-1 support overall for the Baker-Shultz Plan, including 3-1 support among Republicans, and 4-1 support among Millennials, soon to be the largest voting cohort. 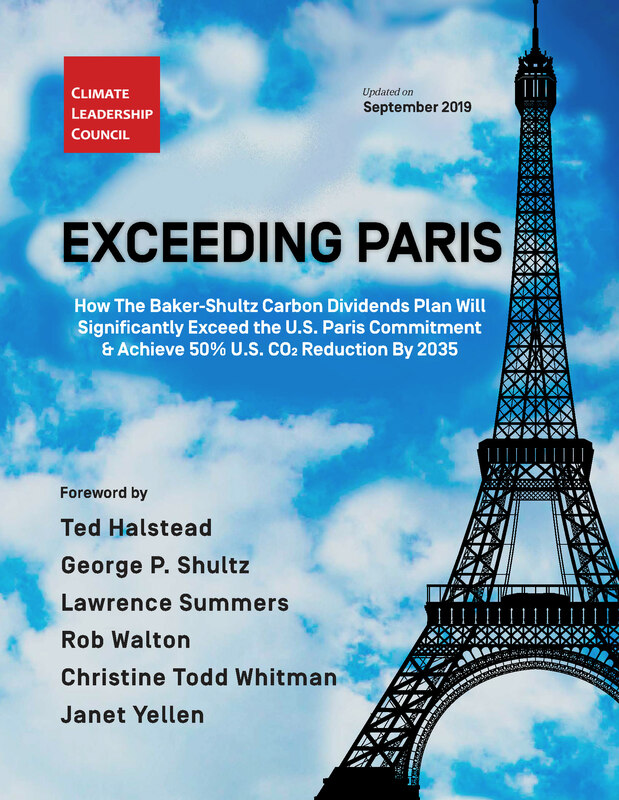 Co-Chaired by former Senators John Breaux and Trent Lott, Americans for Carbon Dividends is an education and advocacy campaign to promote the Baker-Shultz Carbon Dividends Plan. 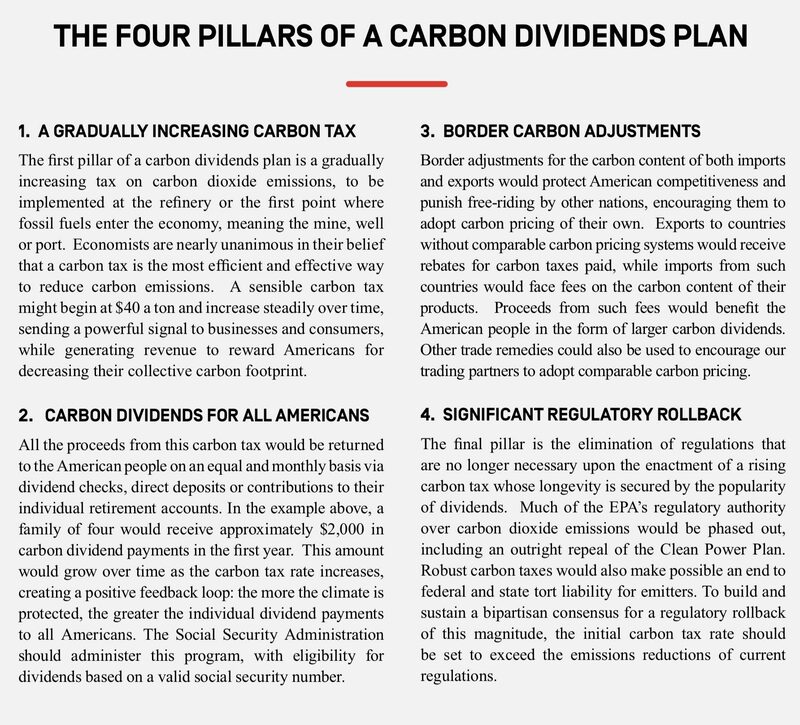 A coalition of 23 college Republican groups, 6 college Democrat groups, and 5 college Environmental groups launch Students for Carbon Dividends (S4CD) in February 2018. 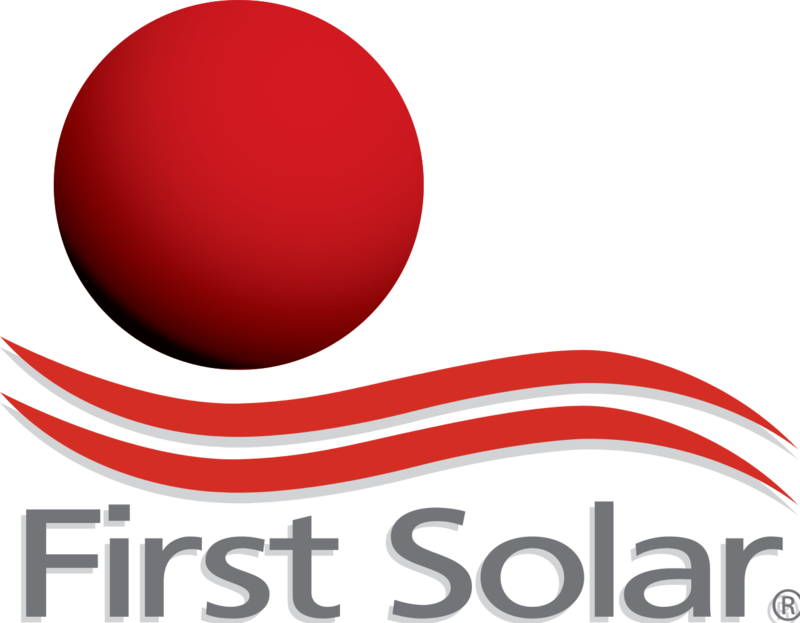 In June 2017, the Climate Leadership Council announced its initial Founding Members, an exceptionally prominent group of business, opinion and NGO leaders.